If the continuous lines down the block are any indication, Emporium’s new Stranger Things–inspired pop-up bar is a runaway hit. Since it’s an establishment that serves alcoholic slushies garnished with Eggo waffles, the selfies in front of the Byers living room Christmas lights have been restricted to patrons ages 21 and up. But because the Netflix series is about a bunch of middle-schoolers fighting monsters from another dimension, there are definitely some younger fans eager to check out the pop-up’s ’80s-indebted decor. 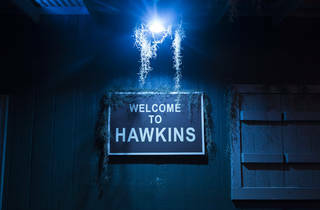 They’ll get a chance later this month when the Upside Down puts away the booze and welcomes young Demogorgon hunters during two all-ages open houses on September 18 and 25, from 4 to 8pm. All attendees under the age of 18 will need to be accompanied by a parent or legal guardian (no, you can’t get your 21-year-old sibling or friend to take you). Once the kids clear out on each Monday night, the bar will be open (and serving adult beverages, once more) until midnight. 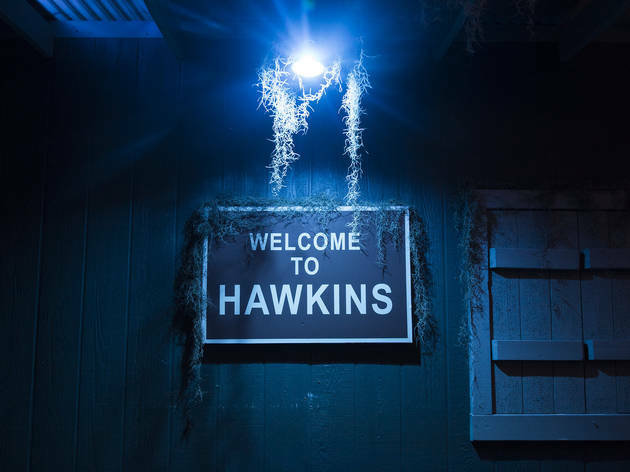 For anyone under 21 who has been dying to visit the recreation of Hawkins, Indiana, our only advice is to get in line early. For everyone else of legal drinking age, make sure you spend some time in the Upside Down before it closes on September 30 with a farewell celebration headlined by local DJ Heaven Malone. in response to many, many requests... we are happy to announce that we will host an "All Ages Open House" the next 2 Monday evenings!  PLEASE NOTE!!!!!!! if you are over 18 you MUST have a valid government issued ID! if you are under 18 or do not have a valid ID you MUST be accompanied by your parent or legal guardian! no, your 21 year old family member or friend does not count! NO EXCEPTIONS! Want more? Sign up to stay in the know.